Work and private life are increasingly merging – a trend that demands more and more flexibility from people in their everyday lives as well as from our interiors. 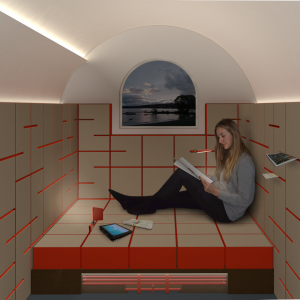 So how do you design the living space of the future? 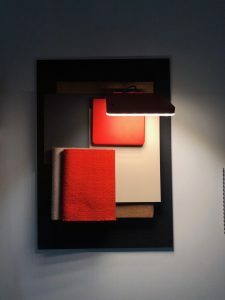 That was precisely the question asked in the design project of two female students of interior design at the Stuttgart University of Applied Sciences. Charlotte Wohlfahrt and Alija Dolo had set themselves the challenge of transforming a previous food trailer into a flexible place to live and work. 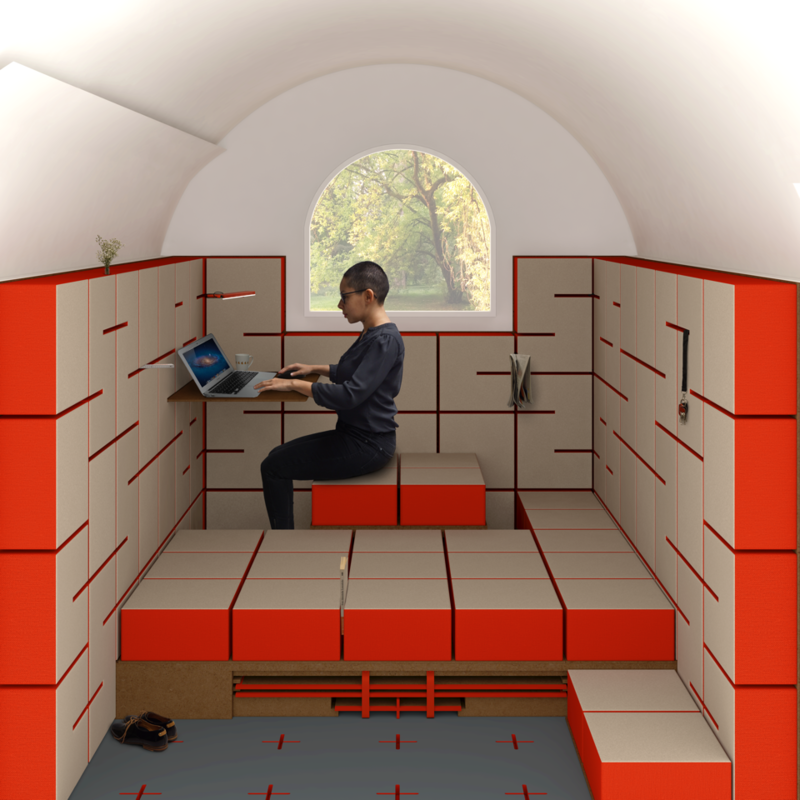 The result is a mobile workspace that offers many possible uses in one small space. The central focus is on the bright orange-red cushions, which offer seating, lying surface and storage space in a single element. They can be flexibly removed or stacked to implement different room scenarios. The limited space has thus found a design that is suitable both for working and for relaxing and occasionally staying overnight. 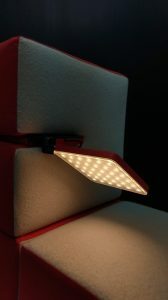 The room concept is complemented by our wireless Roxxane Fly, which fits perfect into the upholstery slits and provides light where it is needed at the very moment. 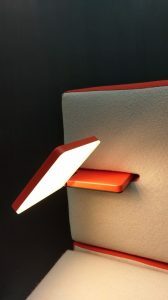 For the project it has even been given a new design and now shines in a fruity blood-orange shade thanks to a special paint finish. The “Pluggy”, as the students called their mobile workspace, is an exciting design on the subject of mobile working for freelancers and people who are on the move a lot at work.